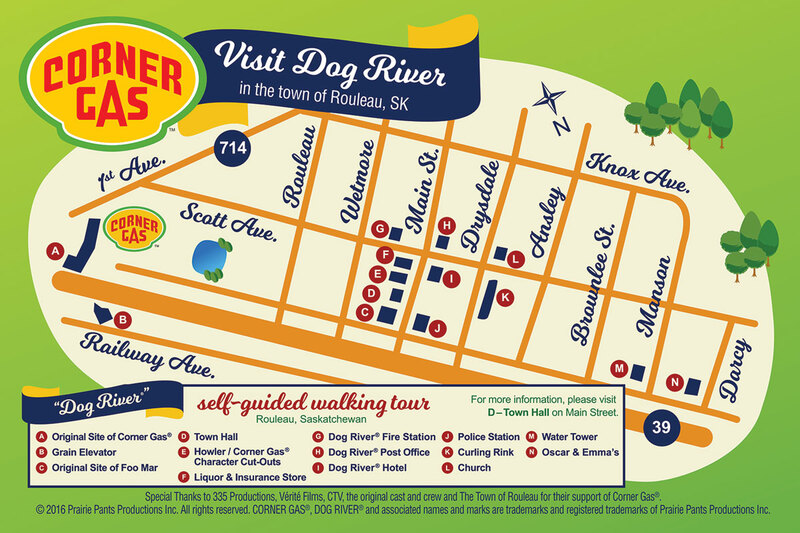 Visit the town of Dog River (population: “about 500”) and take part in the 1-hour self-guided walking tour of Rouleau, Saskatchewan. Corner Gas the sitcom filmed on location in Dog River (aka Rouleau) from the summer of 2003 to 2008 and returned to Rouleau in the summer of 2014 to film Corner Gas: The Movie. Explore your favourite sites and Corner Gas moments in the small town that made it all happen. There are QR codes at each site that offer an interactive, multimedia look at that location. Thanks to the residents of Rouleau for their support of Corner Gas.